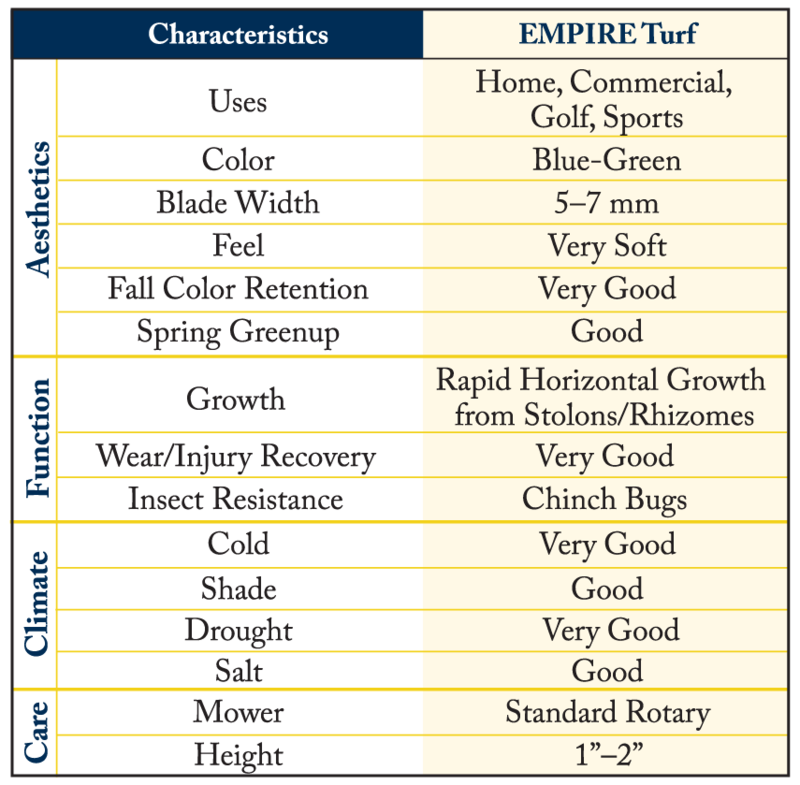 EMPIRE Turf is an improved zoysiagrass that elevates the standards and expectations for warm season turfgrasses. EMPIRE utilizes exceptional drought tolerance and lower chemical needs to meet “green building” standards. With soft-to-the-touch feel, fine tight-bladed growth and lush green color, EMPIRE exhibits durability in the landscape while maintaining functionality. Developed in Brazil, EMPIRE thrives in harsh tropical climates, yet also exhibits excellent cold hardiness. EMPIRE needs less water and maintenance than most other turfgrasses: in some instances, once naturalized to the local climate, EMPIRE requires minimal care.